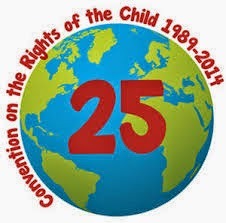 On the occasion of the 25th Anniversary of the United Nations Convention on the Rights of the Child, IBFAN would like to congratulate the States parties as well as the Committee on the Rights of the Child for the work that they have achieved with the aim of realizing children’s rights at global scale. For more than 10 years now, IBFAN has been collaborating with the Committee and sending regular alternative reports and contributions on the issue of infant and young child feeding, channeling information from its global grassroots network to the international policy-making scene. Breastfeeding constitutes one of the single most effective interventions in order to fulfill the child’s rights to life and to the enjoyment of the highest attainable standard of health. Article 24 of the Convention specifically mentions the importance of providing parents with education and support related to breastfeeding and the CRC General Comment No. 15 stresses the obligation for States to protect, promote and support breastfeeding through the implementation of the World Health Assembly Global Strategy for Infant and Young Child Feeding. However, breastfeeding continues to face tremendous commercial pressures from the baby food industry. To date, only 37 countries have enacted a law including all the provisions of the International Code of Marketing of Breastmilk Substitutes and the enforcement of such laws is often problematic. The influence of the baby food industry on parents’ feeding choices through misleading marketing campaigns remains substantial and more than one child out of two is not exclusively breastfed until 6 months of age, despite the official recommendations of the World Health Organization. Addressing this crucial issue, the Committee has repeatedly re-affirmed the necessity for States to promote and support breastfeeding as well as to implement and enforce the International Code and its relevant subsequent World Health Assembly resolutions. This last recommendation has also been highlighted in two General Comments issued by the Committee in 2013: the General Comment No. 15 on the right of the child to the enjoyment of the highest attainable standard of health and the General Comment No. 16 on State obligations regarding the impact of the business sector on children’s rights. Protecting the right of every infant and young child to benefit from the most adequate food possible and creating an enabling environment for breastfeeding remain at the core of IBFAN’s engagement and we stay committed to work alongside the Committee of the Rights of the Child in the future. IBFAN will continue to provide information to the Committee and to support the effective implementation of its Concluding Observations in reviewed countries, in particular through the World Breastfeeding Trends Initiative.